OhGizmo! 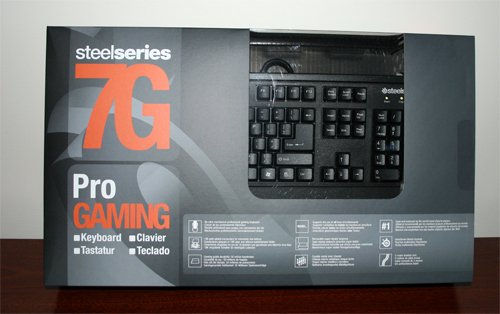 Review – SteelSeries 7G Gaming Keyboard | OhGizmo! Over the years I’ve used quite a few gaming keyboards in the attempt to either increase my PC gaming performance, or just make it more comfortable. In each case there has always been something that immediately defines the device as being different from your average keyboard. Some of the earlier ones simply had backlit keys (because gaming in the dark is always better), others have a special set of dedicated gaming keys, while another has interchangeable keysets. Well I’ve spent a bit of time with the SteelSeries 7G gaming keyboard, and it has none of these aforementioned features. So what sets it apart from that old clunker that came with your PC? Read on to find out. By all appearances, this is just your average ordinary $10 keyboard. Of course it actually costs around $140 more than that. So what amazing features commands such a high price? They say it’s what’s on the inside that counts, and that is the case with the SteelSeries 7G. The magic here is in the keys, which use 18K gold plated mechanical switches, rather than your run-of-the-mill rubber pads. The difference underneath the keys is immediately noticed upon pressing down on one. Since I do a lot of writing in addition to my gaming, I tend to notice things like stiff or squishy keys. This keyboard features neither of those two things. The keys provide the perfect amount of tension, and even that wonderful “clacky” sound that we all remember from old-school keyboards. Needless to say, I love typing on this keyboard. The other benefit to these switches is the longevity of the board. It is said to be rated for 50 million keystrokes, which in keyboard years is almost forever. Finally, it uses the old PS/2 connection which will allow you to press as many keys as you want, and have them all register properly. So how does this help with gaming? I can say that I can feel a noticeable difference in response time over other popular gaming keyboards. The keys have a much better feel, and the resulting “clack” sound becomes rather reassuring while in the middle of a fight. The 7G does have a few other features, such as a removable wrist rest, built-in USB hub and headphone/mic jacks. These are things that you’ll find on other keyboards, and honestly they’re usually done a lot better. The wrist rest slides on over the keyboard, surrounding the entire thing. There’s nothing holding it down, so every time I move my keyboard a bit, the whole thing tries to come off. It’s stiff and sits at a straight angle, which isn’t the most comfortable. 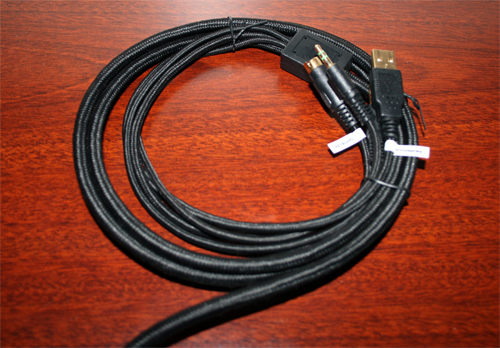 The headset/mic jacks are nice and all, but I keep mine plugged into the front of my PC. Usually the inclusion of a USB hub is welcomed, and is something I’ll usually just mention it as a feature and move along, however, I have to say that for once I am disappointed in it. First, the hub is only 1.1, which means you can forget plugging in flash drives for quickly copying files. Also, the ports are upside-down. On most USB plugs you’ll see either a logo or the USB icon on one side, this denotes which side is up. With this keyboard, it is the exact opposite. Sure, these are minor annoyances, disappointing nonetheless. One final thing of note is the layout of the keys. They opted to go with the larger Enter key, which results in only having a single-width Backspace. While this is a minor annoyance, what did get on my nerves was the fact that they replaced my left Windows key with a special Function key. 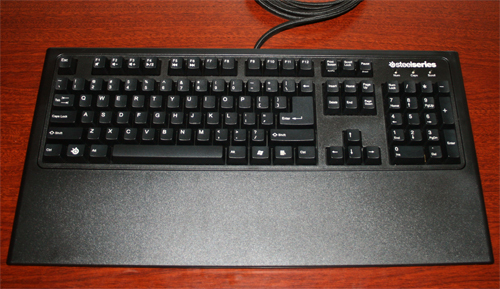 Holding this down allows you to use the F1-F6 keys as media controls. I’m sure that they could have come up with a better place for this key. Overall, I still think that this is a great keyboard for typing, and I love the way it feels. However, as a gaming keyboard, I just don’t see enough features to justify the $150 price tag. If it were in the sub-$100 range, or had a few extra features, it might be worth it. Or perhaps if you’re playing games professionally you will find that it gives you the slight edge that you need, but otherwise I think there are better ones to be found for the money. You realize of course that using gold for the switches is just a PR job right? Gold has no better transfer than any other metal, it is that it doesn't corrode. Which, unless you are a slob or using this keyboard outside, will make no difference at all.